We are in the black and white mood these days! 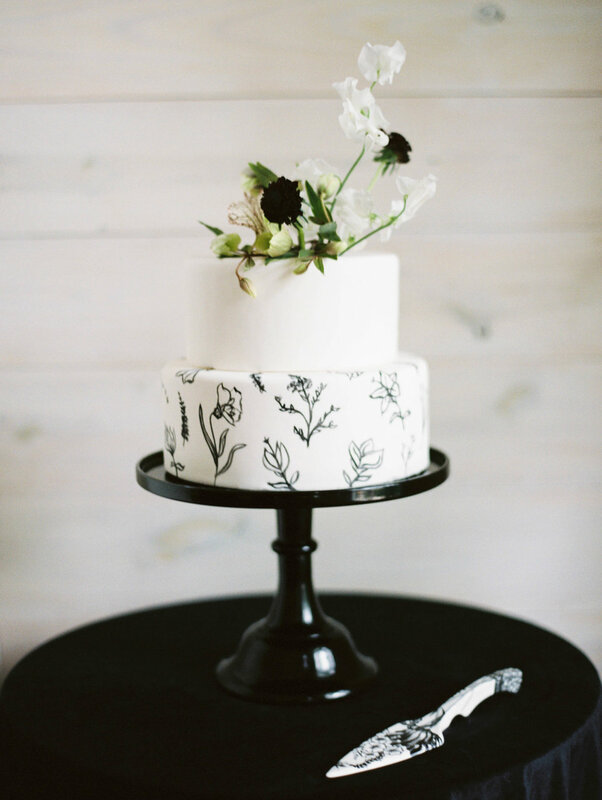 We love this wedding trend of chic monochromatic tones with a moody twist! Dark need not mean gloomy! The black accents act as a fun modern contrast to to an otherwise creamy palette, making this classic pairing feel oh so fresh. 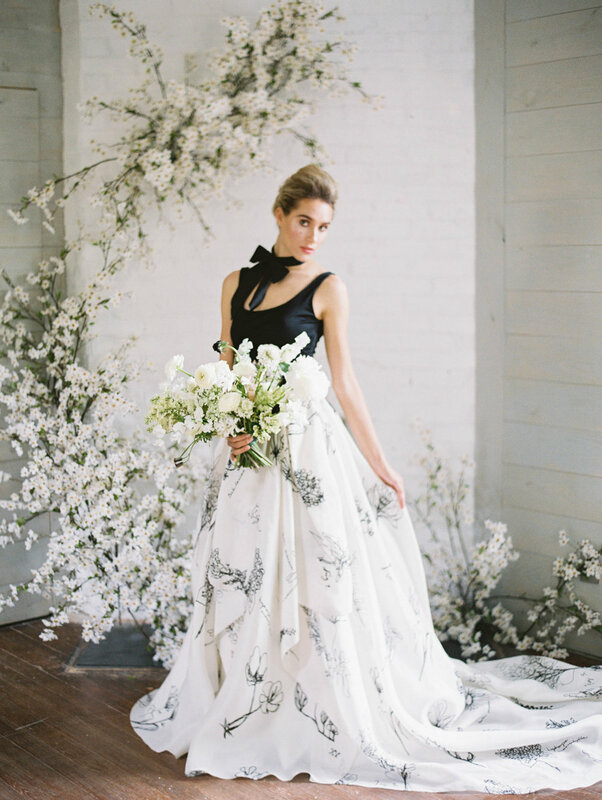 One of our favorite things about bridal separates is how easy it makes putting your own take on a look. 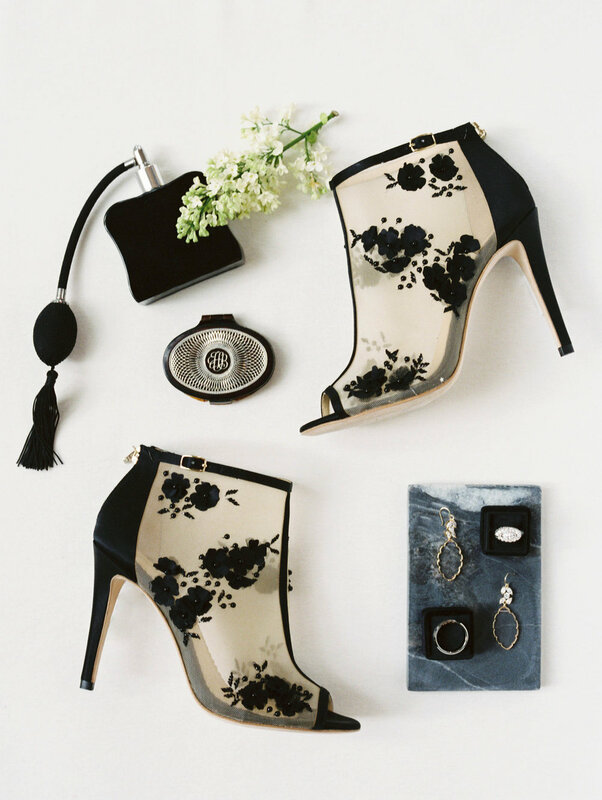 You can style these pieces a myriad of ways to find your perfect unique wedding day statement! 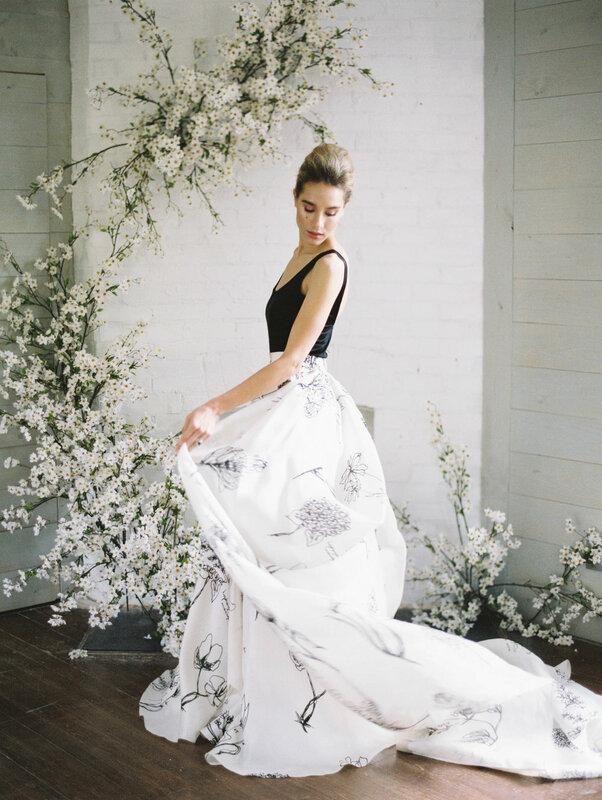 Seen here with the Kensington tank in black, our Anthorium skirt is an artful piece for the bride-to-be seeking some whimsical flair! Newer PostWill You Accept This Rose?